Light. Weight. If your criteria is 'Light. Weight.' 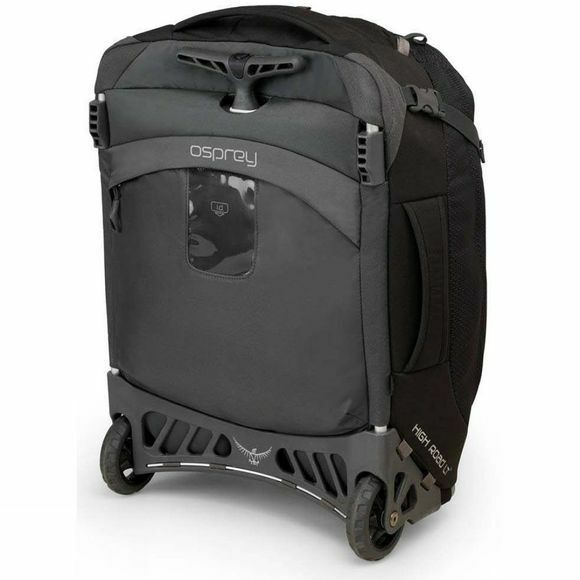 look no further than the Ozone 36 Travel Bag from Osprey. As well, you'll be happy to know it conforms to EU carry-on standards making it the perfect hand luggage for when you're jetting off on a city break or business trip. 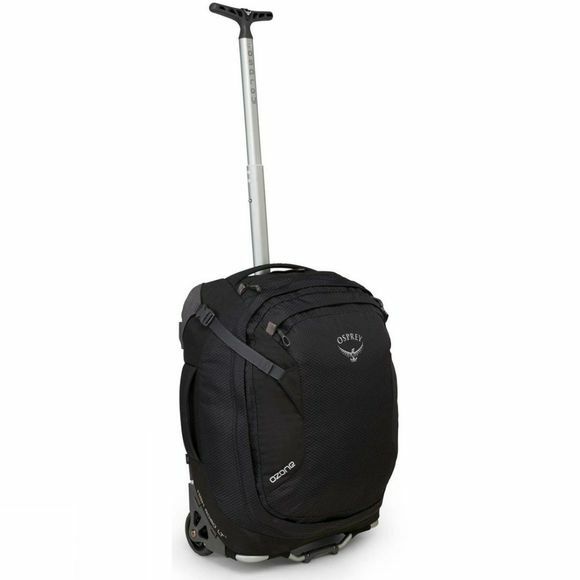 It won't come close to taking up your baggage weight allowance due to the lightweight frame, wheels and extendable ErgoGrip T-shaped handle which helps when navigating those tight corners. The Ozone also features an Ultralight HighRoad LT Chassis made from tough ABS polymer plastic for durability. For organisation, this travel bag features a multitude of cleverly thought-out storage options, including a liquids and valuables pocket, a rear panel pocket for magazines and smaller items and a front panel organiser pocket, which means that you can easily access your most important travel documents when catching that last-minute flight. For extra security, the Ozone travel bag features a lockable zip on the main compartment. The internal compression strap system tightly compresses your gear, so you can efficiently secure every last item. To make sure you never get separated from your travel pack whilst on holiday, we've included a built-in retractable ID card.